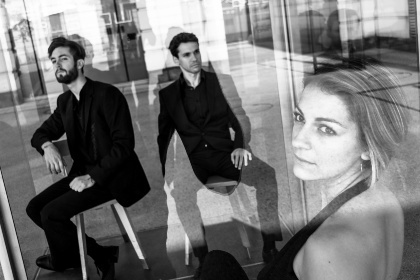 New Piano Trio hold a unique distinction among chamber groups by performing only original repertoire. Florian Willeitner, the group’s violinist, doubles as an in-house composer and arranger. Willeitner’s music is loose, spirited and uptempo, and his use of recursive grooves echoes Renaissance music up to present-day pop and jazz. The members of New Piano Trio are each accomplished solo and chamber musicians. Pianist Maria Radutu founded the SoundGarden chamber music festival in Vienna, and has performed in the U.S. and across Europe. Cellist Ivan Turkalj is a member of chamber ensembles whose styles range from indie rock to early music and back. The aforementioned Willeitner composes a wide range of repertoire for orchestras and soloists. 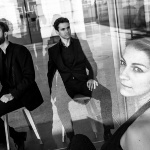 New Piano Trio seek to engage young people with passion, virtuosity and irrepressible skill. Their concerts are a celebration of all that is changing, and what is yet to come for classical music.